With the stroke of midnight, the calendar year of 2017 is now officially behind us. Welcome to 2018, where anything is possible. None of us can know what the new year is going to bring, but we can focus our energies on looking ahead, while still reflecting on what’s behind us. Looking at the year behind us, there were certainly some incredible moments, and I definitely grew on several personal levels. After many long years, I finally got my driver’s license, something I’d been working on (and on, and off) for seven and a half years. On a personal level, my husband and I celebrated our first wedding anniversary. These were the two biggest moments of the year for me, and they weren’t insignificant. My family expanded, as my sister-in-law got married, and that will continue into this year as they’re expecting their first child, which is so incredibly exciting. I also got to do some traveling, including one new state (West Virginia) and had some wonderful time by the Finger Lakes. On a professional level, I got to keep writing, covering hockey and even found a few new opportunities to do so. I also seriously did NaNoWriMo for the first time, and although I didn’t finish it, it was a start – a start on a novel I hope to finish and publish, in 2018. So what will 2018 bring? I don’t know, but I’m okay with that. I’m hopeful. I definitely have some goals for the year ahead – including my aforementioned novel, provided I don’t totally dump it – but overall, I’m just trying to stay open-minded and open to what the year brings. Eighteen-year-old me has finally reached this moment. I’m at the DMV’s office in downtown Buffalo, officially applying for my learner’s permit. This, I think to myself, is the first step to everything. Get a permit, get a license, get a car… and gain a sense of freedom and independence like nothing else. I studied hard for my permit test, and as a result, I not only passed it that first time – I aced it. Just like that, I’m able to start learning how to drive a car. And so I do, sort of. But it turns out to be a much longer process for me than for most people, for a number of reasons. I take full responsibility for the fact that it takes so long. I get some driving practice, once in a while, with my father. Sometimes I’m really motivated to get behind the wheel, but other times, I’m not. I drive here and there, but not regularly enough to get a good handle on things. I don’t know that I’ve ever written much about my anxiety on here, but I think now is the time to start. 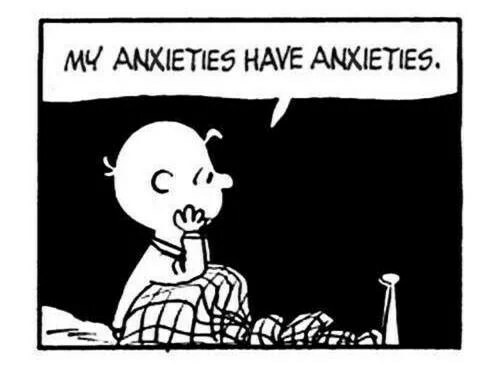 Honestly, living with anxiety is not easy. Sometimes it can manifest itself in ways that make it nearly impossible to get out of bed in the morning or to finish a simple task. Other times, like some of the things I wanted to write about today, it manifests itself in small ways that are *just* enough to inconvenience you or make your day more complicated. Sometimes you don’t even realize how ridiculous these things can be, and sometimes you do, but you have to do them anyways. Because if you don’t, who knows what could happen? If you’re anything me, you’re inundated with news on a daily, sometimes even hourly, basis. Lately, it seems like it’s one tragedy after another. From the various hurricanes that have hit around the world, to horrific acts of terrorism like the gun violence we heard about in Las Vegas on October 1. It’s easy to fall into a pit of despair when surrounded by this news; to feel like you’re helpless, and that there’s no way you can possibly help those affected. The good news is: you CAN help! Whether you’ve got money or time to donate, phone calls to make, or can physically help in person… you CAN make a difference. 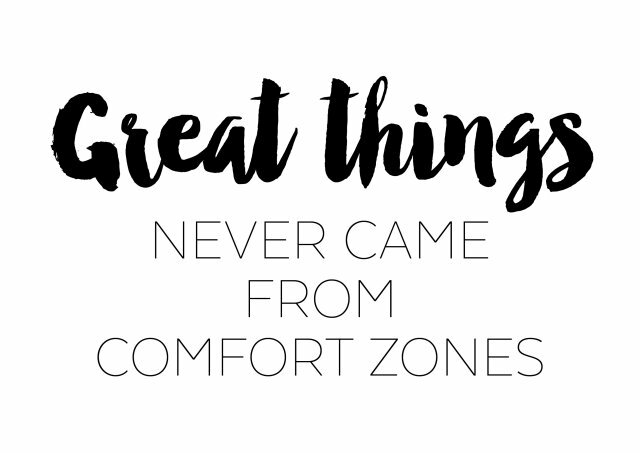 About four years ago, I did a post titled “10 Ways to Step Out of Your Comfort Zone.” Today, I want to share ten *more* ways you, the person reading this, can step out of your comfort zone.